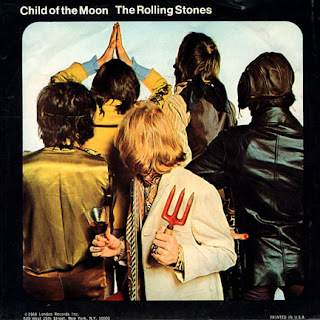 For this edition of ‘Take One’ the ‘rock room’ squints with one eye closed and focuses the musical telescope on the Rolling Stones 1968 ‘B’ side, the Jagger/Richards track ‘Child of the Moon’. The non LP track was placed as the flip side to the now legendary signature rock ‘A’ side ‘Jumping Jack Flash’. 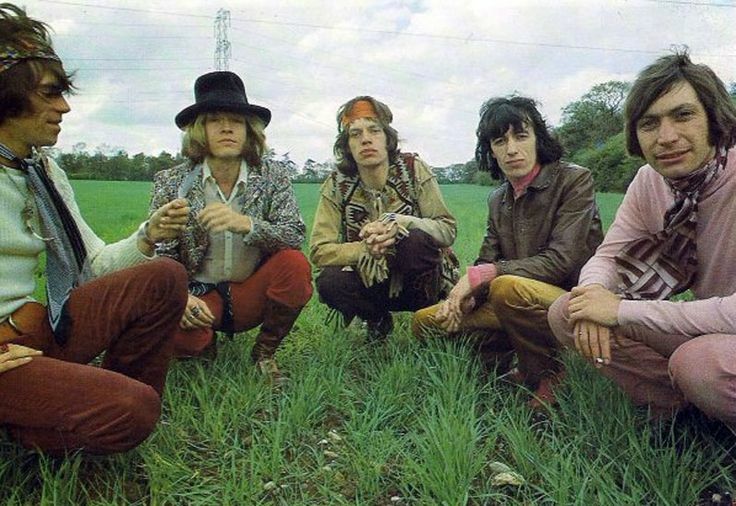 The mid 1968 single was a crowning achievement for the Stones and a return to their punky rock roots after a Summer of Love departure into psychedelic madness and hallucinatory excess. The Stones were leading the way for many of the band’s contemporaries by leaving the paisley window dressings behind and returning to a more basic and refined way of disseminating their music. The ‘Jumping Jack Flash’/ ‘Child of the Moon’ was the Stones introductory step and single acts as a predecessor to the stellar return to form found on the upcoming full length Beggars Banquet which would be released in December of 1968. ‘Child of the Moon’ was constructed from the early 1968 sessions for the record and emanates a druggy energy running on the exhaust from the Their Satanic Majesties Request full length released in 1967 and a new found rock/blues inertia that would initiate the next era of the Rolling Stones music. The song was reportedly developed during rehearsals and sessions for Their Satanic Majesties Request the previous year, but brought to full fruition during the early 1968 sessions of Beggars Banquet. 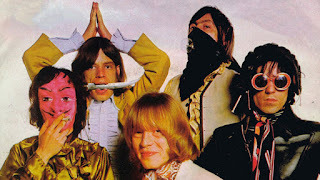 Recording session information for the Stones is sketchy and scarce so details cannot be confirmed or denied.The track was produced by Jimmy Miller, who would begin working with the band in 1968 and assist in developing a string of their most regarded works concluding with Goats Head Soup in 1973. The song was picked from the sessions to back the aforementioned ‘Jumping Jack Flash’ single due to the strength of its composition as well as its slight artistic differences from the more roots oriented approaches of the developing album. Early takes reveal how the song developed from an acoustic based arrangement containing folksy finger picked pauses and Nicky Hopkins watery dramatic grand piano dressings. The released version of the song would sharpen the smooth edges of these aforementioned early takes by charging the central Richards riff with echo and attitude and by adding a substantial and fuzzy bass line by Bill Wyman that acts as an additional lead instrument. Richards would begin to use his famed ‘open D’ tuning on the Beggars Banquet album and this song is also the recipient of the recognizable Richards guitar approach. The final version finds a perfect and successful balance between the surreal and the rock solid. The elongated psychotropic verses taffy pull against the undulating groove. The conclusion of each line is harmonized with a crooked conglomerate of voices. The tune is driven by the aforementioned Keith Richards lick which is often answered eagerly by Charlie Watts busy drum rolls. Watts work on the track is especially impressive as his tom tom rolls dance while carrying an internal melody exhibited by his drumming prowess. The song opens with a faded in foggy guitar drone that coagulates into the lush opening guitar brush through the subject’s thick blonde hair. Some intelligible screaming (Jagger or Miller) can be discerned over the intro licks lending the song an immediate touch of madness. Wyman drops in after Watts introductory roll, his bass line pairing with Jagger’ smooth vocal delivery in sympathetic harmony. The groove moves along weightlessly only grounded by Watts heavy drumming. When the chorus enters Brian Jones blows an alien saxophone that adds 'otherworldly' quality and a unique instrumental fingerprint to an already anomalous track in the Stones catalog. The mid song breakdown features the instruments blending into a starry wash of sound, sustained organ, the lead bass and ringing guitar become a swirling eddy of sonic expression. Hopkins piano is somewhat hidden in the mix, but peeks its black and white head from the wash to remind the listener he is there. The song returns to the verse before closing on the perfect touch of a Richards sitar riff made for guitar closing. The lyrics of the song comprise a dreamy lunar musical paean to most obviously Jagger love interest Maryanne Faithful, while also symbolizing the relationship between his other worldly woman and her mystical ways. The song references the astrological sign of Cancer through its interstellar imagery. The lyrics elicit a soft rain that hovers on a weightless space rock, the misty air of a heavy day clearing because of the ‘child’s’ silver smile. The words still retain youthful innocence acting in contrast to future Stones lyrical escapades about ‘Brown Sugar’ and ‘Stray Cat Blues’. All Jagger wants and needs from his transcendental subject is a simple ‘wide awake crescent shaped smile’. The lyrics and the music coexist in similarity and contrast perfectly, the sound framing the simple imagery with color and detail. The band made promotional videos for both ‘Jumping Jack Flash’ and ‘Child of the Moon’ and both are strange, surreal and slightly threatening. 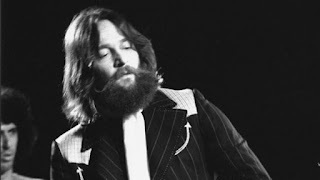 The ‘Child of the Moon’ promo film features the band, high as the celestial body referenced in the song sneaking around the woods with their eyes firmly on the female subject. The video views like a classic ‘B’ horror film, with the subject’s pursuit by these bandanna wearing long hairs documented for odd posterity. I have included it here for your enjoyment. The Stones composition‘Child of the Moon’ can be listened to and understood as a musical dividing line between the first era of the Stones and their following years of ascension as the ‘greatest rock and roll band in the world’. The song has one foot sunk in the past and one foot stepping in the future, but still retains all of the essential elements defining the Rolling Stones aesthetic. While the song is a period piece, its strengths make it a song worth revisiting often, a Stones classic not exhausted by popularity or analysis (until this rant).